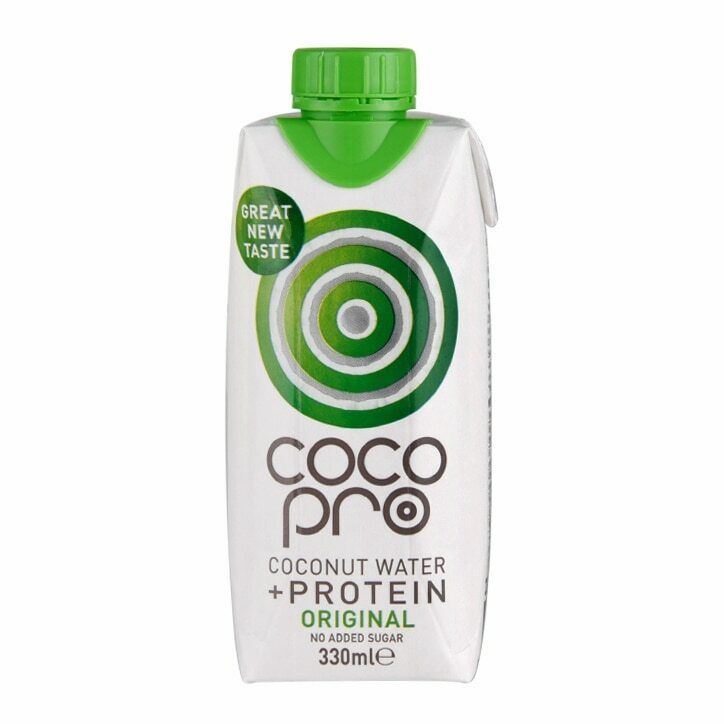 CocoPro High Protein Coconut Water is rated 5.0 out of 5 by 9. Rated 5 out of 5 by PhilM55 from Delicious! What's not to like, great product, super price when on offer & it's good for you! Rated 5 out of 5 by Amos45 from Probably the best coconut health drink product in the market. Wish I could get it in the US. Rated 5 out of 5 by ChloeT from Delicious & refreshing! Love this stuff! Can honestly say I used to hate coconut water before i came across this and now i can't get enough! Its ideal for the gym - pop it in the bag and its an instant hit of protein, electrolytes & coconut to tick all of the boxes for the post-workout drink. Love it! Rated 5 out of 5 by Purdie987 from Very Pleased Very happy with this purchase, lovely fresh taste, thick and creamy in texture and very satisfying. Have been impressed enough to purchase again. Great hand pack for taking to the Gym. Rated 5 out of 5 by JJ00 from Great natural drink Really nice combination of coconut water with whey protein. Has a nice creamy coconut flavour.